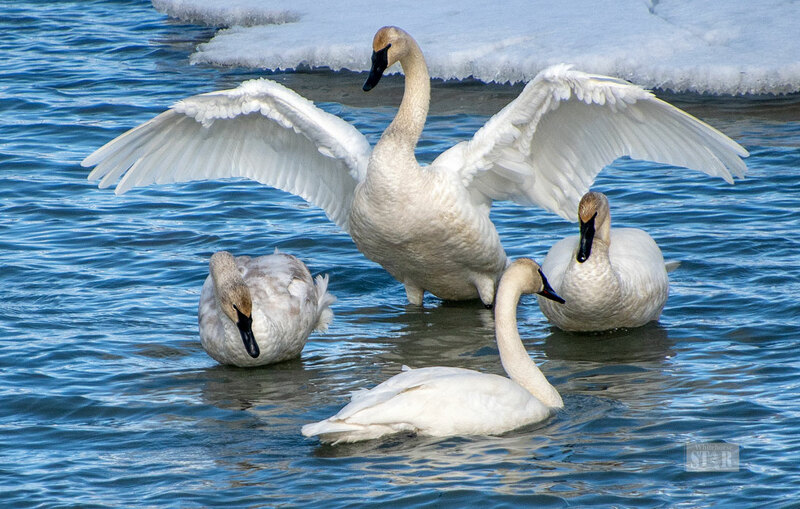 WONDERS ON WATER – A swan family is seen by the Tagish Bridge last Sunday. On Wednesday there were 1,327 trumpeter swans and 54 tundra swans at M’Clintock Bay near Swan Haven. There will be a bird banding demonstration Saturday at Swan Haven. 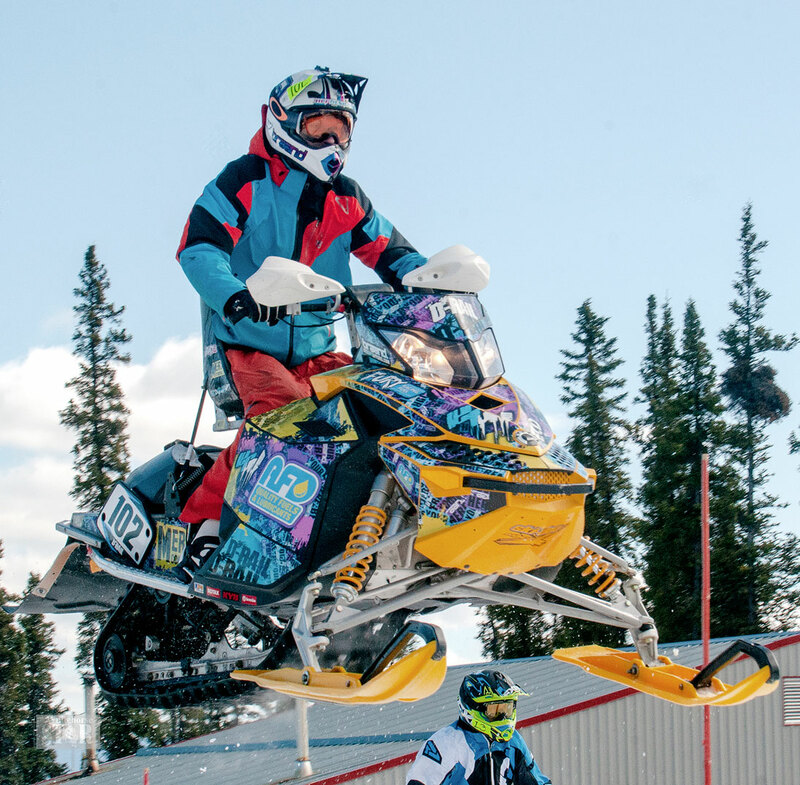 GETTING OUT AHEAD – Darryl Tait goes over the first jump of the course, getting ahead of fellow rider Colin Boyd in the 600 Class event of the Yukon Yamaha Uphill Challenge last Saturday at Mount Sima. 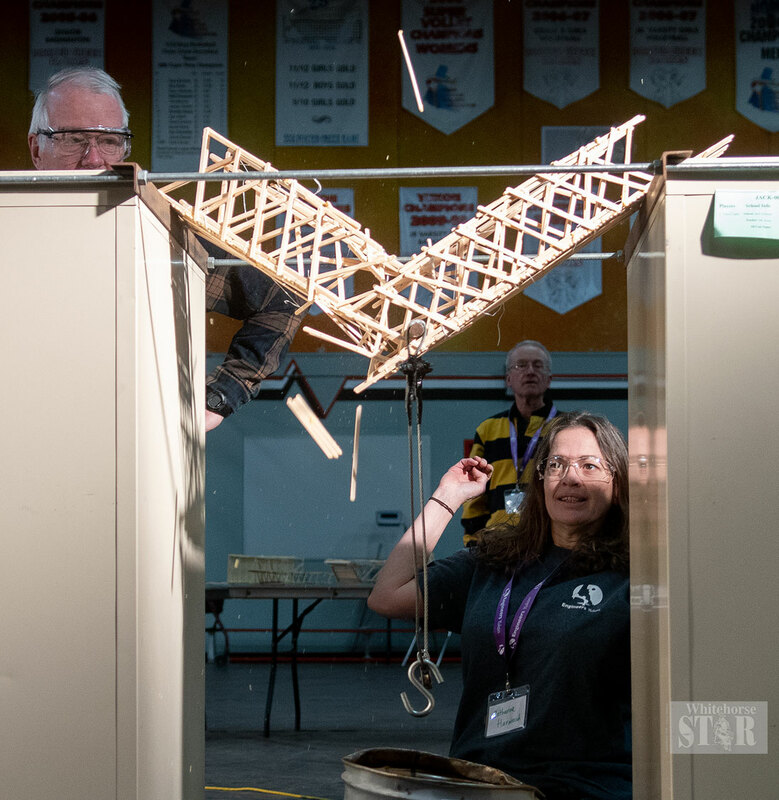 GIVING WAY – Catherine Harwood reacts to a bridge collapse at the Engineers Yukon Bridge Building Competition held Saturday at Porter Creek Secondary School. This was the 26th year of the competition. READYING FOR THE BIG DAY – Jordi Mikeli-Jones and Jeremy Jones will open Whitehorse’s first private retail cannabis outlet Wednesday. They are seen here Friday evening in the new premises at 211 Wood St. 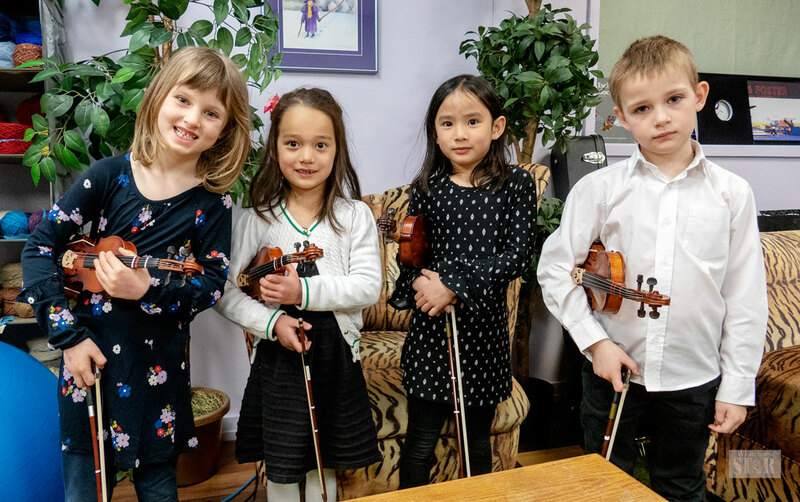 PERFORMANCES WITH SMILES – Grace Burke, Sophia Snider, Renée Mahidlawson and Sebastien Morgan-Savord (left to right), with the Selkirk String Stars, are seen Thursday before playing for the adjudicator at the Rotary Music and Dance Festival. The popular festival will end Saturday. 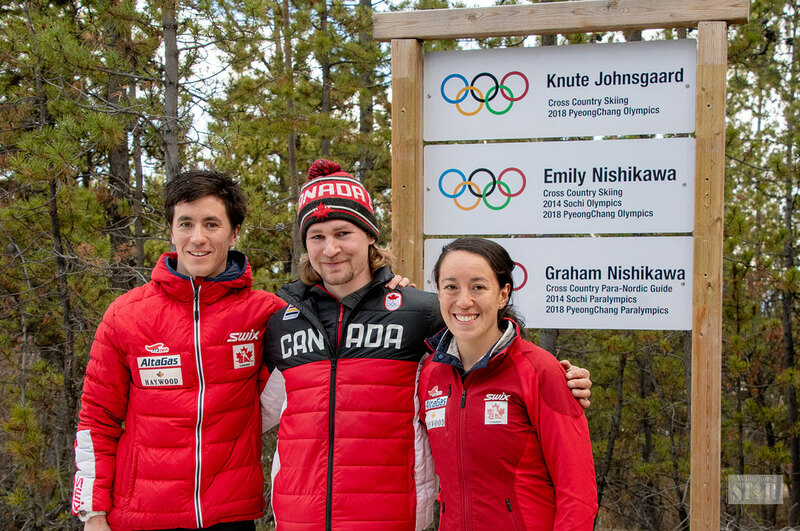 YUKON OLYMPIANS – Graham Nishikawa, Knute Johnsgaard and Emily Nishikawa were recognized Wednesday evening for their participation in the 2018 PyeongChang Olympics and Paralympics Games. Their names will appear on signs along the Olympic Trail at the Mount McIntyre ski trails. A Yukon judge has sentenced a Whitehorse man to 5 1/2 months in jail for two counts of impaired driving causing bodily harm and two counts of blood concentration equal or over the legal limit causing bodily harm. 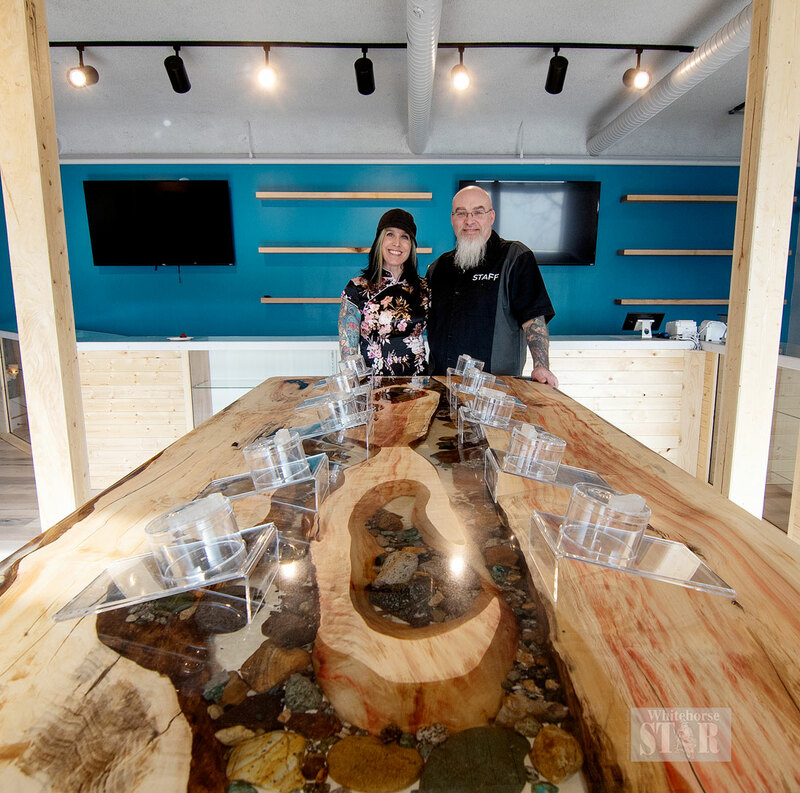 A handful of eager customers entered the territory’s first private retail store this morning, as Triple J’s Canna Space swung open its doors at 10 a.m. in downtown Whitehorse. Wrongdoing occurred in the treatment of a young person by the staff of a Whitehorse group home, concludes a report released Wednesday.